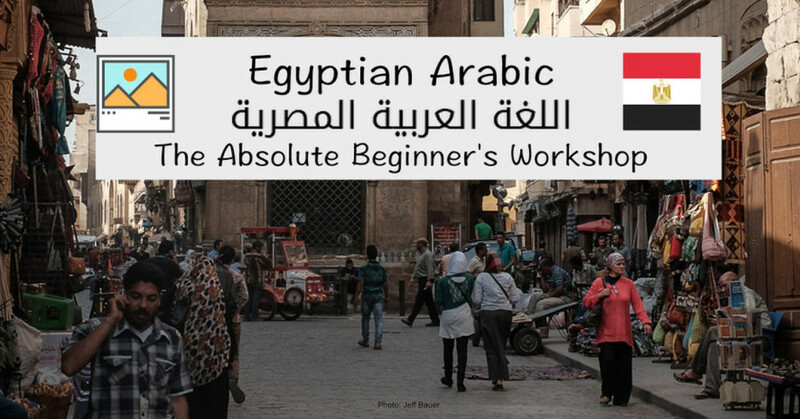 Over the past month I’ve been working hard at putting together a new course that helps teach Egyptian Arabic to absolute beginners. This course is not designed to be a complete treatment of the language, but it’s meant to bridge the gap for people who want to get up and running in the language, but are not sure where to start or don’t have access to teachers or courses. I discovered that putting together an online course takes a lot of work! For something that I thought would be so simple, there is a lot involved. Recording the video, planning the lessons, editing video, recording audio, and putting together useful quizzes and feedback materials has taken a lot of time. However I’m pretty sure that it’s going to be worth the effort, and that at least a few people out there will hopefully find it helpful. Yesterday I posted my course outline and introduction text onto a forum of teachers were who are making online courses. The feedback I got was very encouraging. One of the people reading it said that just reading my introduction had made him want to begin to study Arabic. That got me fired up! So what I’m going to do in the rest of this blog post is just paste the transcript of my introductory video. Hopefully some of you will find it informative, and possibly motivating. Update: The course is now available! You might be wondering, is this is the right course for me? Let me tell you who I have designed this course for. I put this course together for people who have absolutely no background in Arabic, or who may have had some in the past but need to start up fresh from the beginning. It is designed for people who are enthusiastic and ready to begin actually using the Arabic that I teach, from the first lecture. 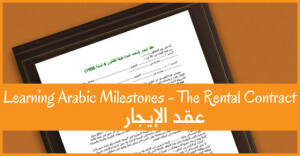 You don’t have to have mastered huge lists of vocabulary or complicated grammatical rules before you can begin to connect with people in Arabic. So if you are eager to launch your Arabic quickly and with Egyptians or other Arabic speakers, then this is the right course for you. What value will I get from this course? As you work through this course, you’re going to find yourself becoming a growing participant in Egyptian Arabic. Small step by small step, you will be able to interact in Egyptian Arabic on an introductory level, using key expressions and words. It’s not that you will become fluent overnight. But you will be able to open up conversations in Arabic, establish a level of friendliness and respect, and put a smile on people’s face by showing them that you are meeting them on their ground, using their own Arabic! My own experience, and the experience of many others has shown that just opening and closing conversations in simple Arabic, and using even small Arabic markers or phrases in the middle of conversations, opens incredible doors for interaction with Arabic speakers. One of the biggest barriers that people face in learning Arabic is a mental one, and that is the question of “Can anyone really learn such a complicated language?”. The answer is absolutely yes. I, and many, many others, use Arabic on a daily basis. The key is to take it one step at a time, and most importantly to use what you have, as small as that may be. This course will enable you to become a growing participant. We will start with simple greetings and goodbyes. We’ll move on to polite exchanges such as “please”, “thank you”, “how are you” and so forth. I’ll teach you how to build respect and rapport by choosing formal or informal words, based on the context you are in. We’ll learn how to ask and answer simple questions, and how to count to 100, skills that you will need as you begin to interact. 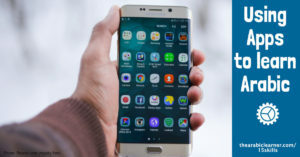 There will be many other useful things along the way, including a section where I will show you a host of words in Arabic that are borrowed from English and other languages, allowing you to fast-forward your vocabulary in one sitting! One question that I get all the time is why I – a Canadian with absolutely no Arab background in my family line – am teaching Arabic. The answer is simple. I have done it. I have learned Arabic and continue to learn Arabic, and because of that, I can walk you through the process. I have lived in Egypt for 24 years. 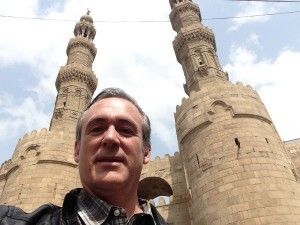 I am on the faculty of the American University in Cairo, teaching writing and communication. I do life in Arabic, business in Arabic, family in Arabic, shopping in Arabic, socializing in Arabic, all on a daily basis. I have developed software that helps people learn Arabic that was published by the American University in Cairo Press, and has been used by thousands of people. 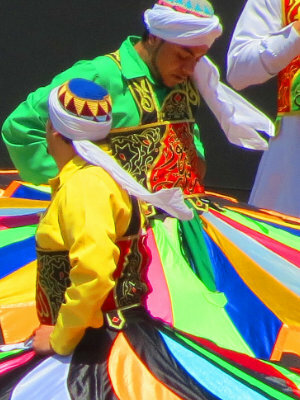 I blog about the process of learning Arabic, and am currently writing a book that examines the best practices of some of the foremost experts in Arabic language teaching worldwide. I use my Arabic, and make plenty of mistakes in it, constantly learning. As we walk through this course, you’ll get to know me more, quirks and all. But for now, hopefully that should give you enough background to feel confident to let me take you along your first steps in learning Egyptian Arabic. So, are you ready to launch out on your journey of becoming a growing participant in Egyptian Arabic? It’s time to take your first step. Go ahead and enroll in this course right now. Put away the mindset that says it’s impossible, and become one of the growing number of learners who engage in Arabic. I encourage you to sign up and get started on this course today – don’t put it off – and together we’ll begin your journey in Egyptian Arabic.